You might be surprised to learn that bugs and bacteria favour the kitchen, where you eat and prepare food and especially in your sponge. 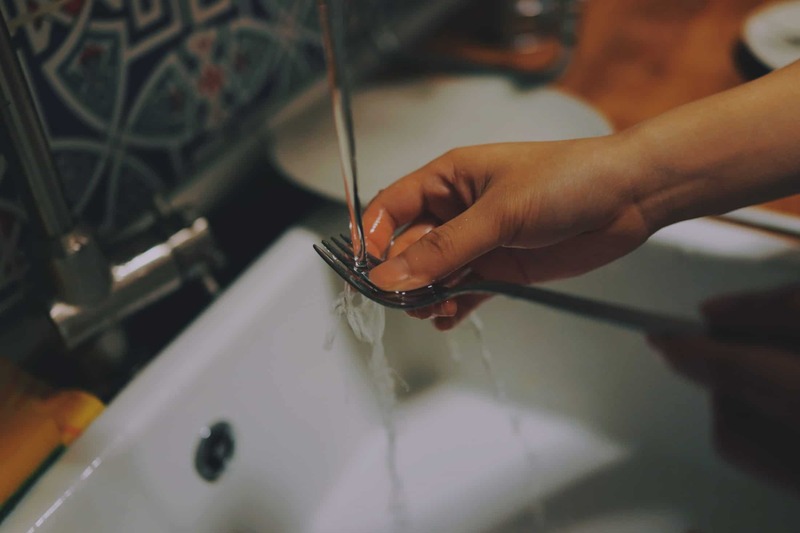 If you’re washing dishes by hand, your cups, plates and flatware may not be as clean as you think. In a 2017 study published in Scientific Reports, German researchers did a germ-analysis of kitchen sponges. There were 362 different kinds of bacteria covering sponges with nearly 5.5 trillion microscopic bugs crawling around on the thing you use to “clean” your dishes. The ideal way to sanitise dishes and cups is to run them through the dishwasher. If you don’t use a dishwasher, you’re likely to choose a kitchen sponge. But sponges are ideal breeding grounds for bacteria, given the amount of food residue that can stick on and inside the porous surfaces, and the numerous moist havens that lure the bugs and provide fertile ground for them to breed. It is best to use a plastic or silicone brush. Brushes tend to stay drier when they’re not used, and they don’t have as many deep crevices as sponges where water and bacteria can grow. They are also easy to clean and should run them through the dishwasher once a week. If you insist on using a sponge, you should acknowledge frequently cleaning it and throwing it out. Using soap and water won’t cut it; sponges that are cleaned this way contained more bacteria. The bacteria are more likely to be the kind that are more resistant to detergents since they survived the cleaning, and they could potentially cause harm to your health. Changing kitchen sponges weekly is the only way to avoid bacterial buildup. Experts advise that you are to sanitise dish sponges every few days in a variety of ways; soaking in a bleach solution, zapping it in the microwave or running it through the dishwasher. With the three methods compared, it was found that a bleach and water solution worked best in removing 99.9% of bacteria added to test sponges. A solution was created of three tablespoons of bleach to a quarter of water and soaking the germy sponges for five minutes, then rinsing them out. The next most effective method was microwaving. It is important to wet the sponge thoroughly before zapping, to prevent it from catching fire in the microwave. It’s also important to thoroughly dry the sponge before using it to wash dishes again, since the dampness could attract more bacteria. Throwing the sponge in the dishwasher is the least effective cleaning strategy of the three, although the wash did kill 99.8% of the bugs. If you opt for this method, make sure you don’t use the energy-saving option. If throwing out sponges frequently seems wasteful, it is suggested using them in other parts of the house where bacteria might not be so important, such as cleaning floors or gardening equipment. As long as the germy sponges aren’t being used on the dishes, glasses or flatware that you eat with every day, your sponge should not cause problems.